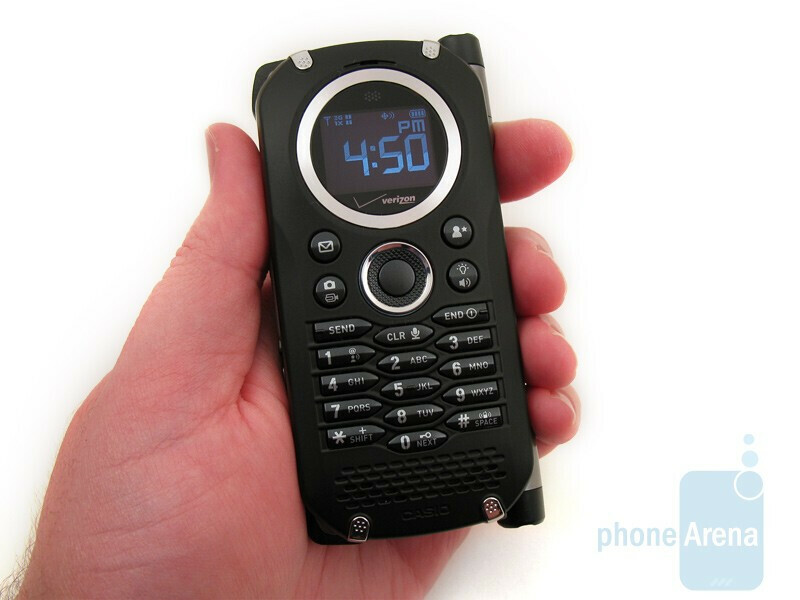 Over the past few years Casio has been one of the major providers of push-to-talk devices for Verizon Wireless with their rugged G’zOne series; from the Type-V and Type-S to the Boulder and Rock. 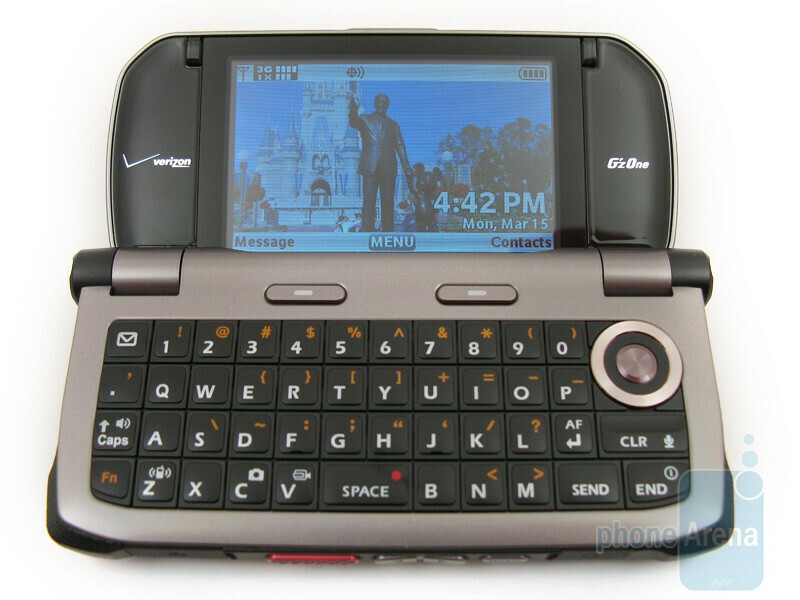 Now the company is looking to raise the bar even more with the new Casio G’zOne Brigade C741, as it is the first PTT device for Verizon to incorporate a full QWERTY keyboard. 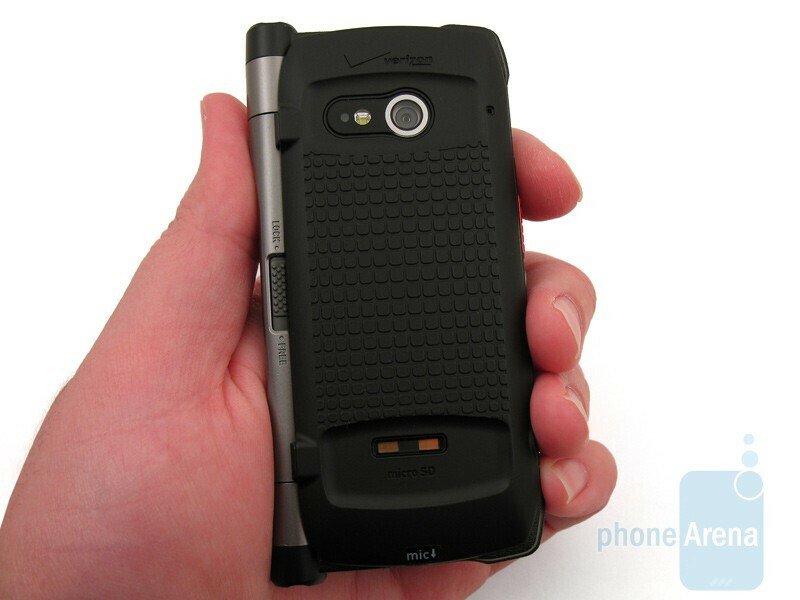 This is clearly marketed for individuals who want a messaging device, such as the LG enV3, but also the ability to use Verizon’s PTT service, as well as being built to MIL-STD-810F for resistance to dust, shock, vibration, salt fog, humidity, solar radiation, altitude, temperature extremes, and water submersion. 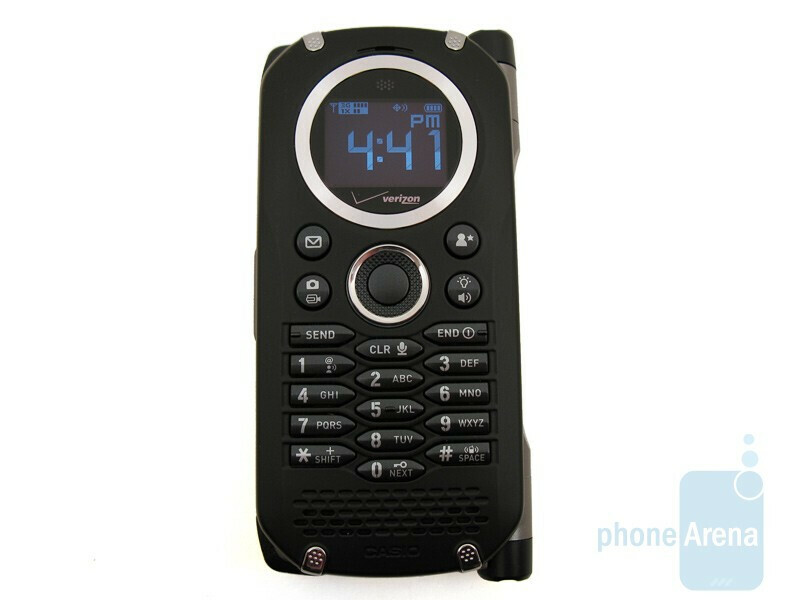 Included in the retail package are the Casio G’zOne C741 phone, 1440mAh battery, wall charger, desktop cradle, and user guide. 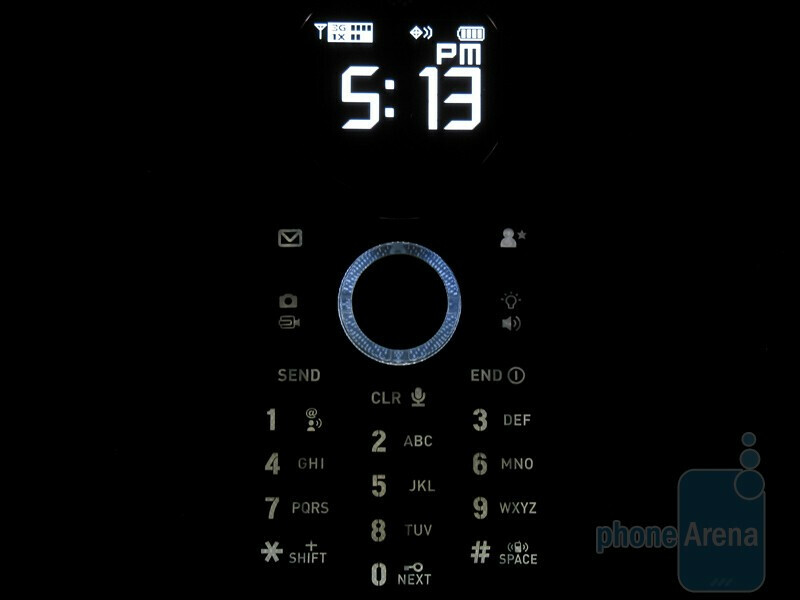 The Brigade still retains the Casio G’zOne look and feel throughout, with a circular display on the front that is similar to the one used by the Rock. The Casio G’zOne Brigade C741 feels quite durable with its hardened-plastic and rubber construction, and the orange colored o-rings around the battery, charging port and headset jack should do a good job of keeping water out. 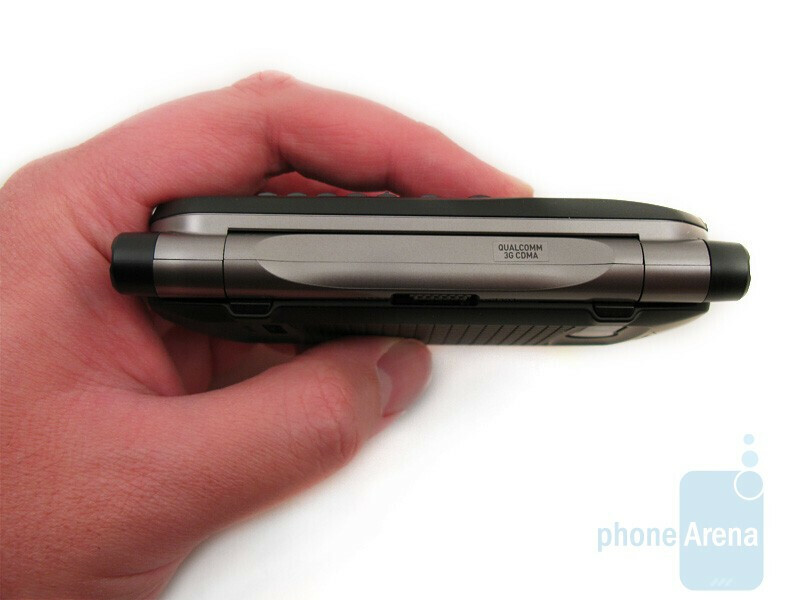 However, the phone’s large rectangle-shaped design can be a bit uncomfortable to hold at the ear for long periods of time, as the bottom hinge has the tendency of pressing into the palm of your hand. Furthermore, when the Brigade is placed in your pants pocket, it looks like you are carrying around a small brick. You can compare the Casio G’zOne Brigade C741 with many other phones using our Size Visualization Tool. The external PMOLED display is only 1.2” and has a resolution of 128x96 pixels, but is easily visible in sunlight and can be used for most basic features, such as viewing the date & time, phone numbers, contacts, messages, etc. The d-pad has a silver ring around it, but in fact is illuminated white from underneath, which makes it easy to see in low-light conditions. It’s not the largest d-pad that we’ve used, but still works well for navigating through the external menus. 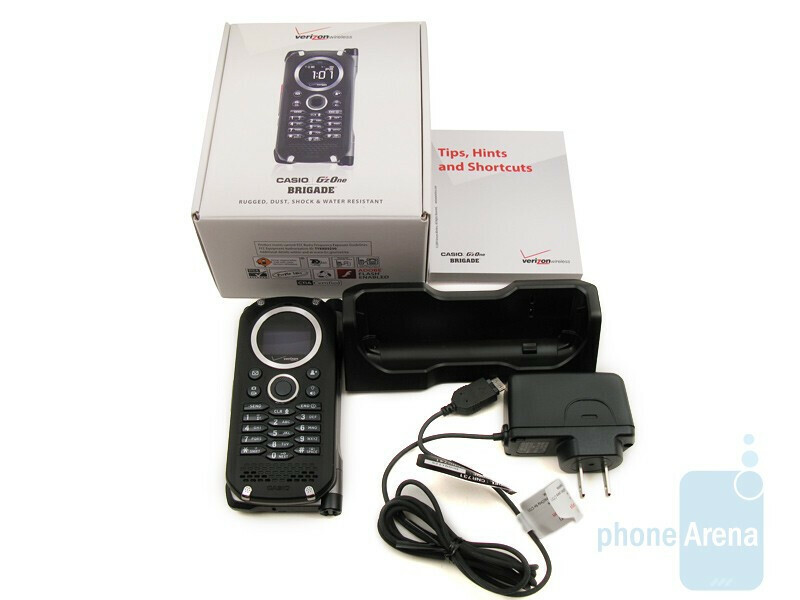 Around it are 4 individual buttons that directly access the text messaging, camera, favorite contacts, and speakerphone/flashlight. It is nice to have these functions available at the touch of a button instead of having to dig through menus. Below it is the standard white-backlit numeric keypad, but the buttons being uniquely shaped and the rows slightly offset from one another, though we didn’t have any problems using them. 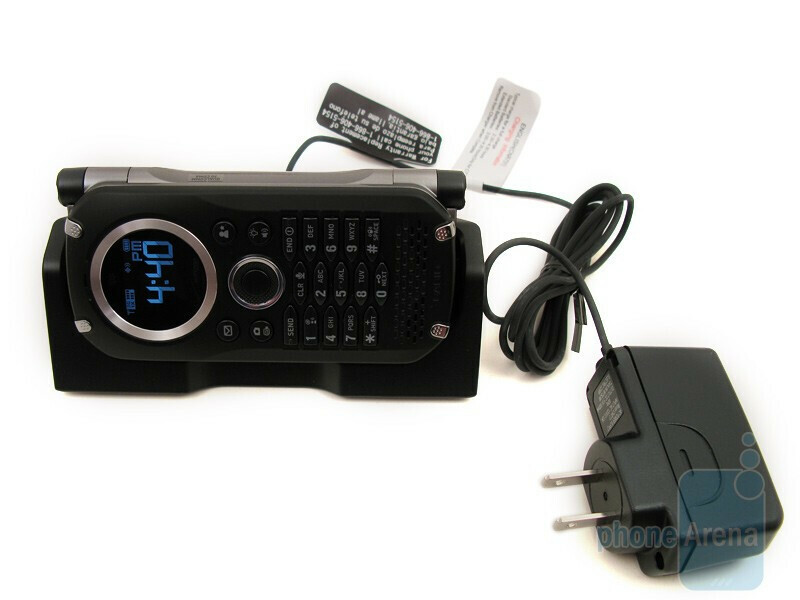 At the bottom are the stereo speakers, which are used for music playback, speakerphone, and while using the PTT mode. 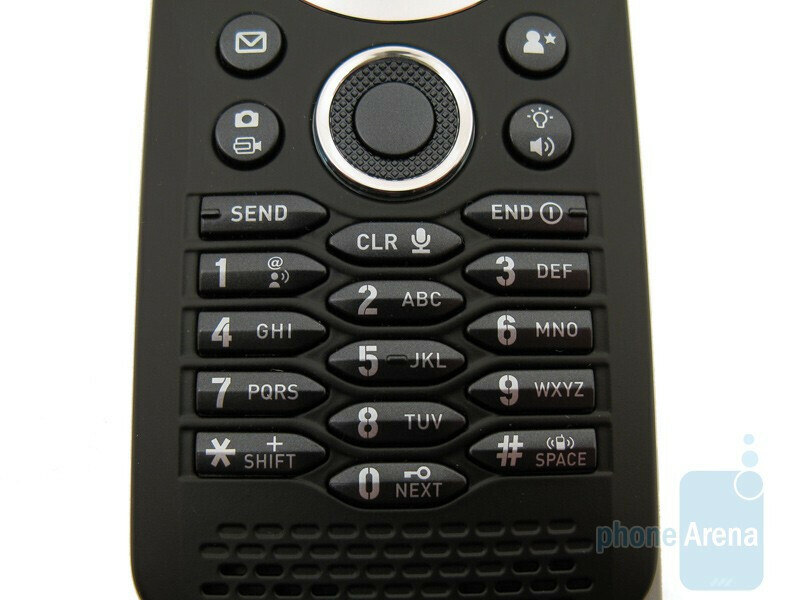 On the left side of the Brigade are the volume rocker, music button, and large orange-colored PTT button. Opening up the Casio G’zOne Brigade C741 works similar to the LG enV3, except that the hinge doesn’t open a full 180 degrees. The internal display is 2.9” with a resolution of 400x240 pixels, which allows for easy viewing of images, text, and menus. 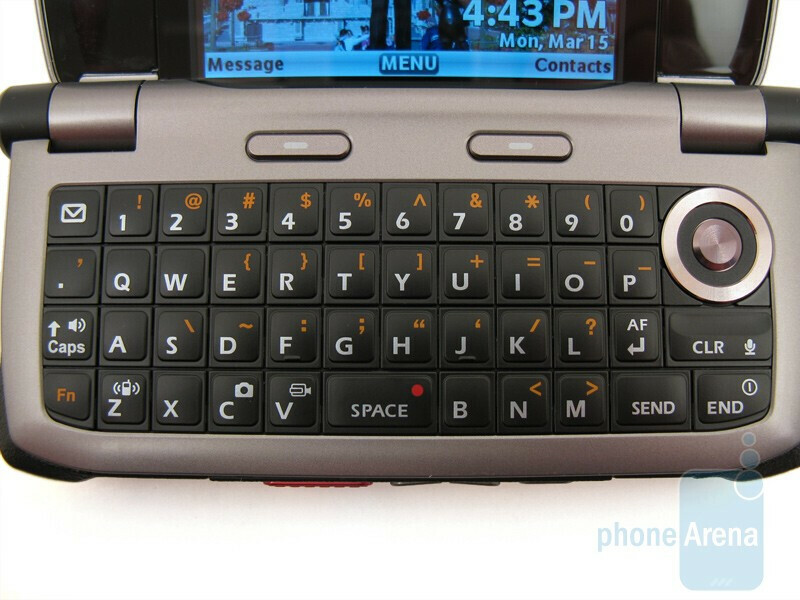 On the bottom is a 4-row QWERTY keyboard with d-pad. 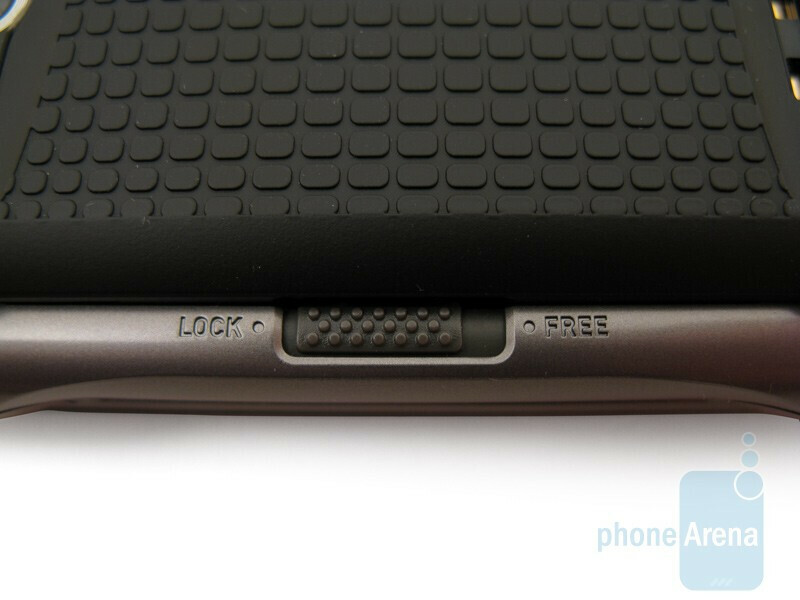 The keys are large and are slightly raised from the surrounding plastic, which makes it one of the best designed keyboards we’ve seen on a Verizon device, as we were able to type messages relatively fast and without any errors. 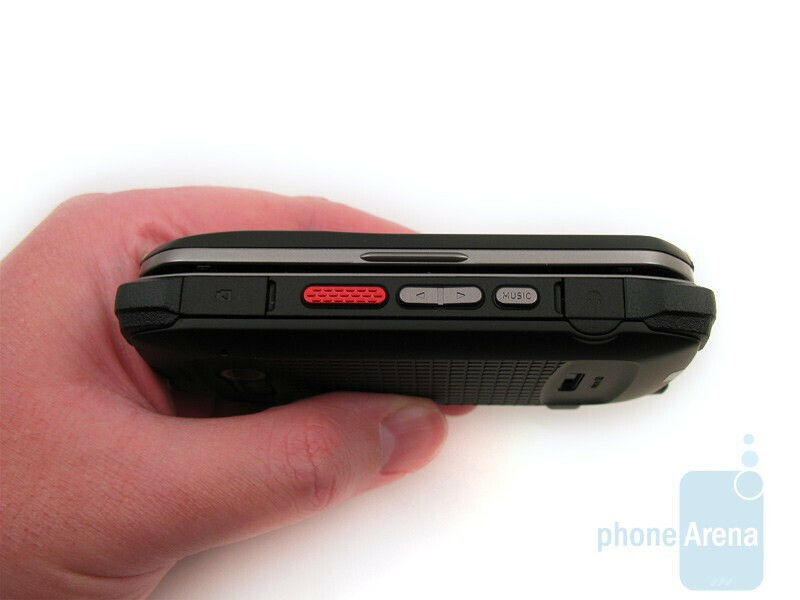 Located on the back of the Brigade is the 3.2MP autofocus camera with flash and two metal connectors that are used with the desktop charging cradle. 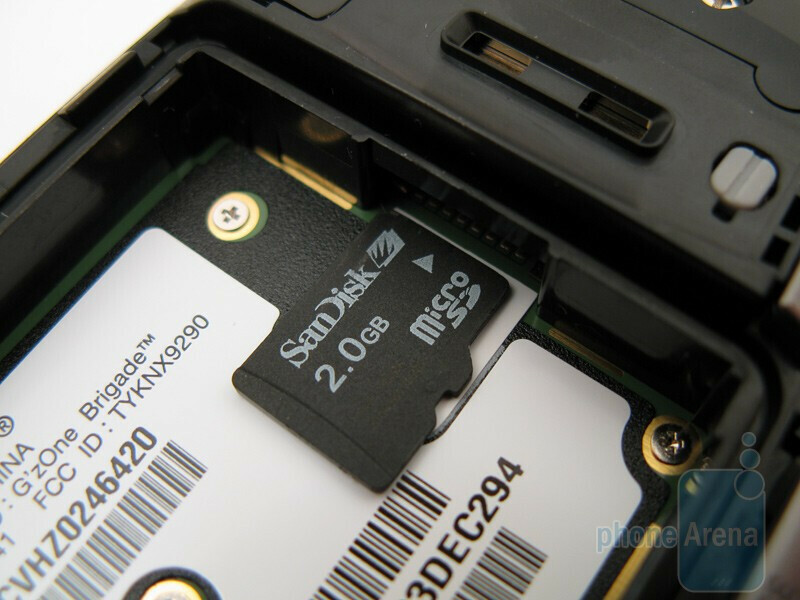 There is a small slider that will lock and unlock the battery cover, which you’ll have to open and remove the battery to access the microSDHC memory card slot that supports cards up to 16GB. 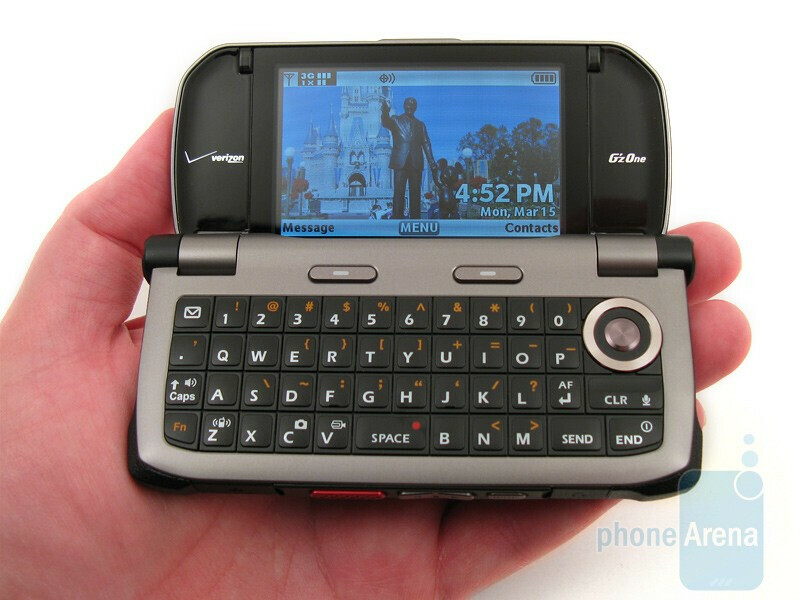 The Brigade is the worse phone I ever owned. It's slow in every function it has. I have never had a phone this slow in the last 15 years of owning a cell phone. Now the phone has decided not to accept or receive text messages. Oh by the way this phone is 4 months old.